The idea for this week is a trivia game on your mobile phone. Play with your friends in teams or solo and see who can answer the most questions correctly as the clock counts down. Challenge yourself and beat your own top score. There are many games for smartphones, however many of them are solitary games. Trivial pursuit and other such triva games are sociable games, but carrying cards and a board around means they cannot be played spontaneously. This game allows people to play together or by themselves anywhere they have their mobile. Play trivia games anywhere anytime, all you need is your mobile phone. Play in teams, free for all, head-to-head or on your own. Choose how long to play for, just a quick round or an epic battle of the minds. Questions can be one of several topics, including food & drink, movies & TV, music, sports or a random topic for each question. The screen shows the question on the page without the answer. The questionner then touches the screen to get the answer, and then selects whether the answer given was correct or not. The game automatically counts up the number of correct answers in the time period so that points for each team or individual are tallied. In team play, each team takes a turn with the mobile while the others get to watch. When it's your turn, one of the team members becomes the questionner and takes the mobile phone. They shake the mobile phone to get the topic for all of their questions. When the team is ready, the timer starts and the questionner tries to get their team to answer as many questions correctly in the time allowed. An adjudicator from the other team checks to make sure the questionner is not cheating. Head-to-head is similar to team play, however each person is on their own. The questionner asks questions of the person to their right for the time period and then passes the mobile on to the next person. Each player must try to get the most questions correct in the time allowed. Play can continue for as many or as few rounds as desired. In free for all, players take turns at being the questionner and ask 10 questions each before passing the phone on to the next person. The questionner asks the question and the first person to get the correct answer will get a point. This continues for however many rounds the players want to continue for. The player with the most points at the end wins. In the solitaire game, the player can a topic to answer questions on, or get a random topic everytime. The player can then decide to for for a run or a time trial. In a run, the player sees how many questions they can get right in a row. In the time trial, the player tries to answer as many questions possible in a row before the time is up. The player is attempting to beat their own high score, but can also share their high score with friends or the greater community to compete for the best solitaire score. 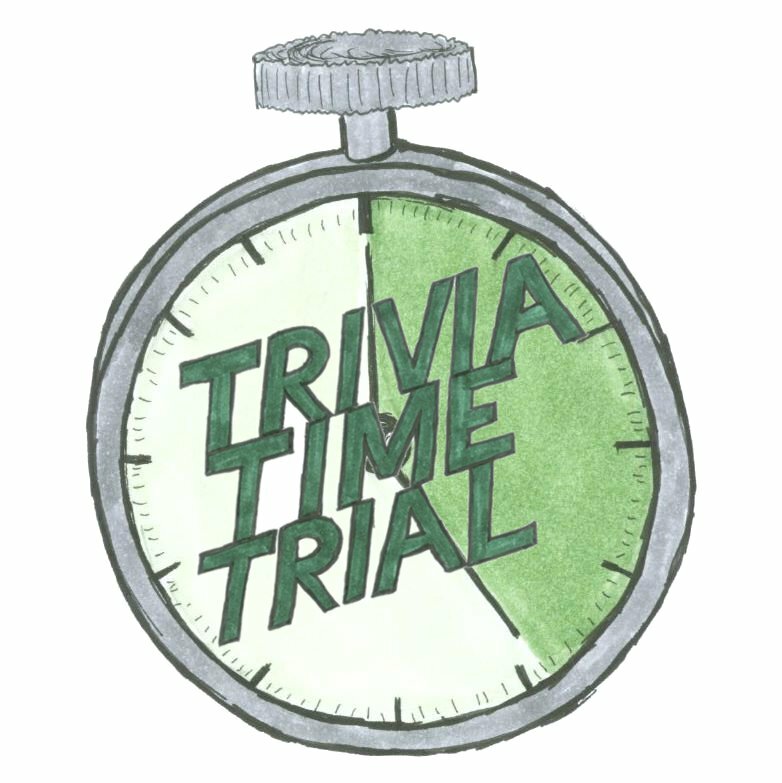 Each round of trivia time trial doesn't take very long and players can decide how many rounds they would like to play. This means that players will be encouraged to play just one more round in order to get more points on the next round. The game is easy to set up and can be taken anywhere, including around a camp fire.